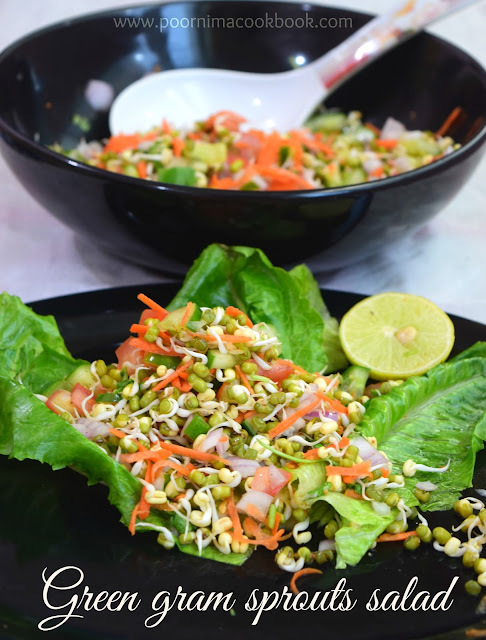 Green Gram Sprouts Salad is a nutrient dense salad added with cucumber, carrots, onion, tomato along with spices to improve the taste. 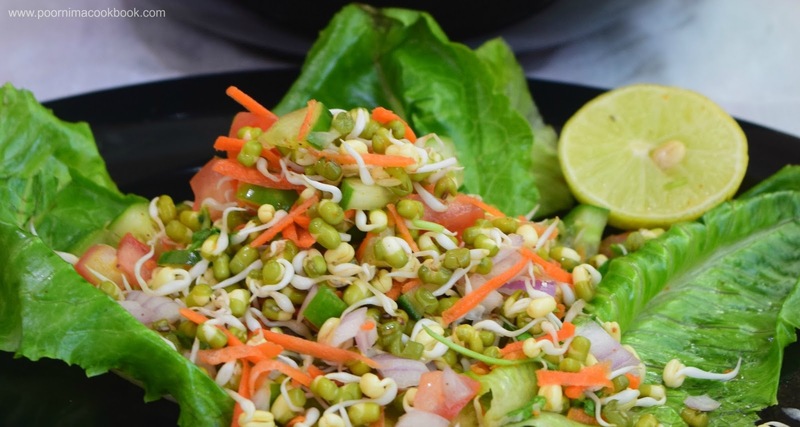 As this is delicious & low calorie salad, You can eat this to your stomach's content and feel full without guilty. 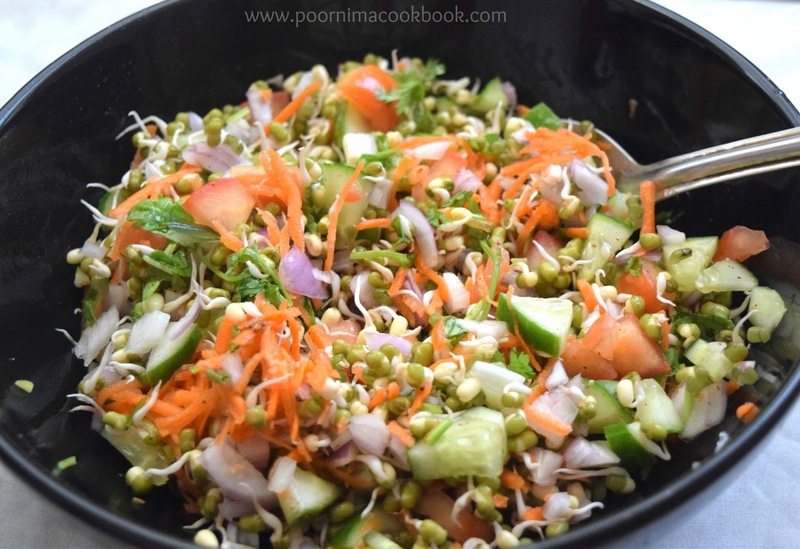 Do check my post How to Sprout Moong Beans ( Green Gram Sprouts) at home. 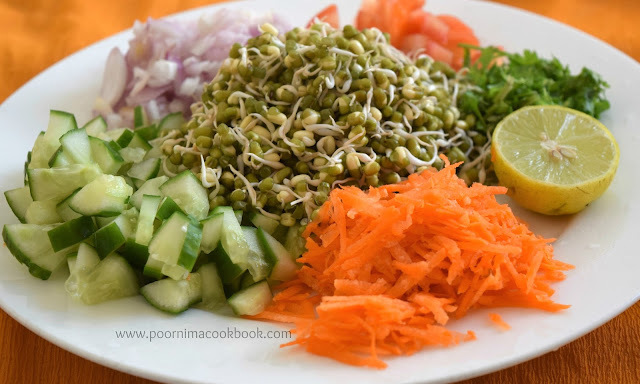 Add all the ingredients in a bowl; add salt, pepper, chat masala and lemon juice. Toss well and serve immediately. 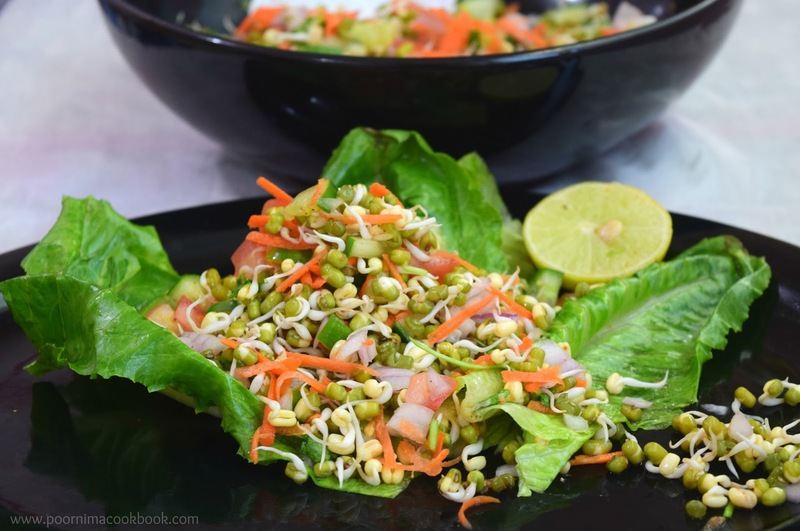 Tasty , crunchy & nutritious salad is ready to eat. Adjust the amount of salt, pepper and chat masala according to your preference. 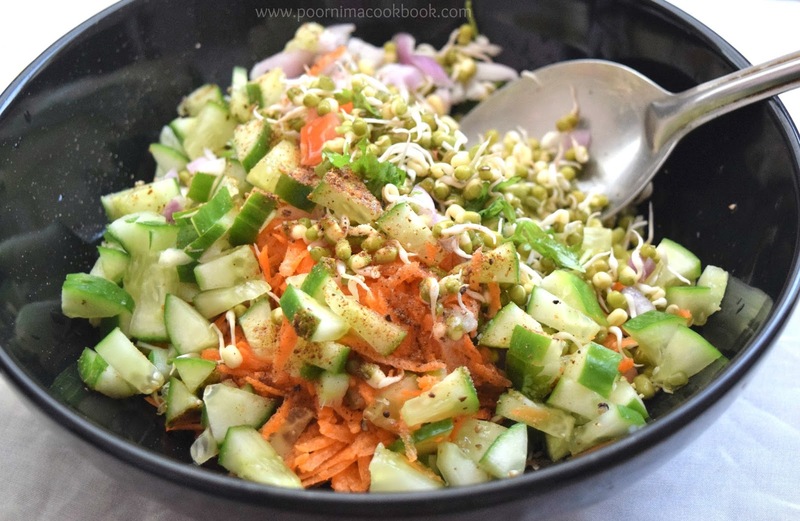 You can also add diced apples / pomegranates / nuts in this salad. Great post. I’d like to mark like this too taking occasion and genuine hard work to create a huge article but I put things off to A large quantity and custom essay writing service never seem to get In progress even though I wrote this article I am in reality happy with article quality and administration. Thanks a lot for preservation huge stuff. I am extremely a good deal grateful second-hand for this place.